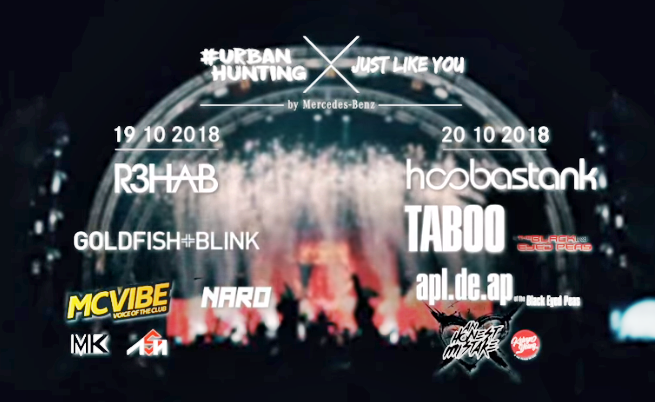 Home / hoobastank / mercedes-benz / music / news / r3hab / urban hunting / Catch Hoobastank, DJ R3HAB, Taboo & Apl.De.Ap and more this October! Catch Hoobastank, DJ R3HAB, Taboo & Apl.De.Ap and more this October! That's right. 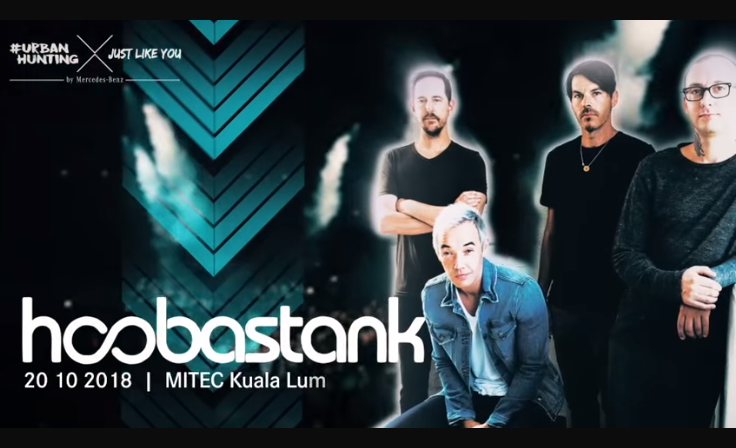 We haven't heard the name Hoobastank for a very long time now, but thanks to the folks at Mercedes-Benz Malaysia and their Urban Hunting series, we will very soon. How soon is soon? Well, 'Urban Hunting x Just Like You' is set to be a 2-day celebration of music, art, tech and urban thrills held at the Malaysia International Trade and Exhibition Centre (MITEC) Kuala Lumpur, which will see quite a number of international and local acts. On Friday, 19 October, internationally renowned EDM artist DJ R3HAB will headline along with local act Goldfish and Blink. Also joining them that night is MC Vibe, Naro, MK and ASH. On Saturday, 20 October, American rock band Hoobastank will headline, along with Taboo and Apl.De.Ap from Black Eyed Peas. Local pop punk band An Honest Mistake will also be taking the stage to pump up the audiences for a night to remember with their hits (and hopefully some of their cool covers too?). If you're interested to witness this invite only party, then REGISTER HERE for your chance to score some invites.